VR LINK is a kind of immerse glasses with stereoscopic vision, it is launched from Shenzhen Sibuxiang Technology Company. 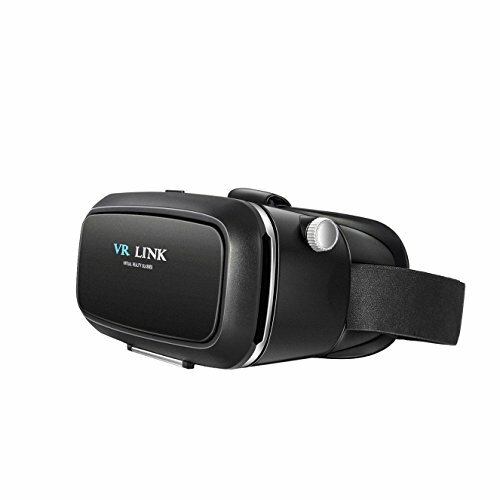 VR LINK fits 3.5-6.0 inch phones perfectly (according to the actual size of phone), when put in ordinary smart phone's screen, you can feel the panoramic games and 3D movies, etc. Games and movies have taken a giant leap into the 21st century or Youtube with virtual reality headsets. You can play immerse games and watch your favorite shows from the comfort of a personal 3D headset that offers an experience. The 3D Virtual Reality Headset is made of ABS,it's environmental protection material and spherical resin lens materials and it's testing passed FDA American standard. It would be the best choice to play 3D games and to watch IMAX movies at home or have a rest with your smart phone. After using long time, If you feel eye-indisposed and dizzy, you'd better to have a rest. Step 1: Running 3D side by side movies or VR app on your phone. Step 2: Put your phone into the headset chamber properly. Step 3: Adjusting your phone left/right till the central line of split image align to splitting wall of VR headset. Step 4: Close the cover, adjust the head strips and wear the headset. If you have any questions about this product by VR LINK, contact us by completing and submitting the form below. If you are looking for a specif part number, please include it with your message.